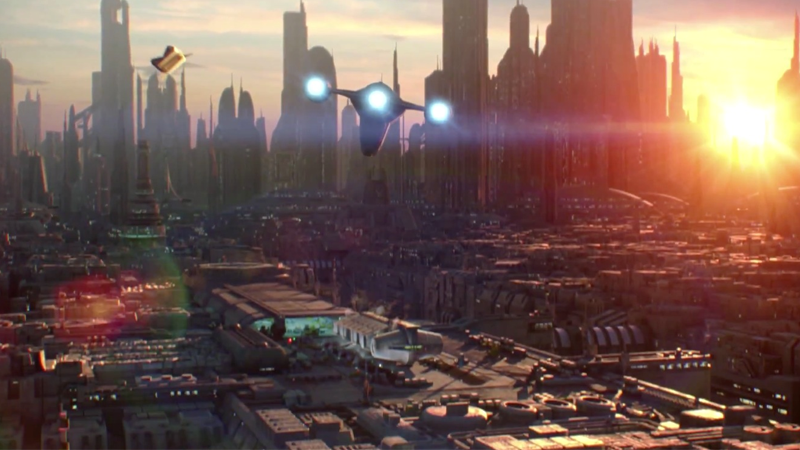 When Disney purchased Lucasfilm, the company prematurely ended plans for two major projects—Star Wars: Underworld, a live-action TV show, and the video game Star Wars 1313, both of which would’ve followed the seedy underworld of Coruscant. But in surprising news, neither project might truly be as dead as we thought. Star Wars: Underworld would’ve focused around the stories of several crime families warring with each other and seedy forces like the Hutts in the lower levels of the city that covered the entirety of Coruscant’s surface—and to tie into the series, while the impressive-looking 1313 would’ve involved some of those characters and families as players explored titular level 1313 of the city. Unbelievable. So our attitude is, we don’t want to throw any of that stuff away. It’s gold. And it’s something we’re spending a lot of time looking at, pouring through, discussing, and we may very well develop those things further. We definitely want to. This is all very interesting—there have been rumors for a while that Underworld might be back on, or that Star Wars could be even moving to Netflix for a series of new shows in the vein of Disney-owned colleagues Marvel. Some of the ideas for both the game and the TV show have seemingly been picked up: Underworld allegedly featured a young Han Solo, a concept that is now going to be a movie. 1313 followed the adventures of a young Boba Fett, something else that has long been rumored as another anthology movie. But this is solid confirmation from Lucasfilm that those projects are still being considered for development, which is exciting new because these are some of the last vestiges of Lucas’ work on the saga before he left Lucasfilm in Kennedy’s hands. What an awesome time to be a Star Wars fan.